The ITU is pleased to announce that it has signed the Development Grant contract with the American Triathlon Confederation (CAMTRI), which is aimed to support the athletes’ and coaches’ development and provide a sustainable structure for organizing events and training camps and to support the activation of National Federations, as well as provide new and emerging Federations resources for development. “We are extremely pleased with the agreement signed with CAMTRI, as it’s going to be a powerful tool to help the growth of our sport and our athletes and coaches in the continent, in a year of special importance with the PanAmerican Games taking place this summer in Lima”, said ITU President and IOC Member, Marisol Casado. “The plan presented by CAMTRI covers different areas where we want to focus in the upcoming months, including support organizing events, and camps to identify new talent, support emerging athletes and provide support to the athletes, officials and coaches for the season,” she said. CAMTRI President, Liber García, presented a plan to use the funds offered by ITU to organize multiple Coaches and Technical Officials courses in Uruguay, Costa Rica, Barbados and Colombia, as well as support organizing online courses both in English and Spanish with the support of Panam Sports. The grant also covers youth camps in Colombia, Costa Rica and Trinidad and Tobago, as well as the organization of a camp for athletes qualified for the PanAm Games coming from emerging National Federations, and direct economic support to some National Federations to help the growth of Paratriathlon in the region, with the goal of increasing the numbers of American athletes competing at the Tokyo 2020 Paralympics. 2019 will have plenty of dates for the continent’s triathletes to mark on their calendars. The American Triathlon Confederation (CAMTRI) Executive Board has also approved the calendar of events for the 2019 season, a year marked by three WTS events hosted for the second year in a row in the Continent, three World Cups, one Para World Cup and the Lima PanAmerican Games, as well as 19 American Cups and the Continental Championships for every distance. The season will start in February in Havana (Cuba) for the fourth edition of the American Cup and the Iberoamerican Middle Distance championships. Costa Rica will play host in March to the Central American and Caribbean Championships in Playa Hermosa, while Sarasota (USA) will host in March the CAMTRI Paratriathlon American Championships. As for Major Games, athletes competing in the South American Beach Games will go to Rosario (Argentina in March), while Lima (Peru) will be hosting the 2019 Pan American Games in August. October will be the turn for the World Beach Games in San Diego. March will be a pretty busy month for American triathletes, with the CAMTRI Sprint Triathlon American Cup and South American Championships taking place in Montevideo (Uruguay) and Monterrey (Mexico) will host the CAMTRI Triathlon American Championships. 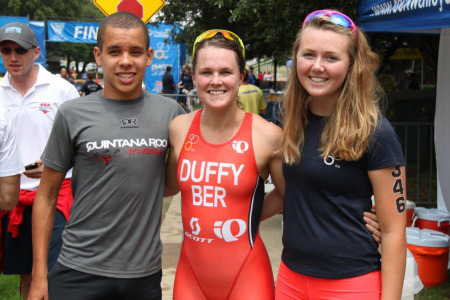 For the 2019 season, triathletes from all over the world will head to the Americas for three World Triathlon Series, just as they did last year: Bermuda, in April; Montreal (Canada) in June and Edmonton (Canada) in July - also host of a Mixed Relay Series. As for World Cups, Santo Domingo is a new addition to the continent’s calendar, joining Huatulco (Mexico) and Salinas (Ecuador).